All of our produce is either grown here at Heller's Farm, or from one of our neighboring farmer friends. We are proud to share our market with our agricultural colleagues in the Hudson Valley, and are happy to enjoy good relationships with them. At Heller's Farm, we are committed to the survival of the family farm. Pumpkin and Apple Butters are just two of the many farm fresh preserves available at the Pickin' Shack. Our preserves make great gifts! The unusual shape of our gooseneck squash are always a hit as a centerpiece on your dinner table! Juicy and sweet Niagara Grapes. 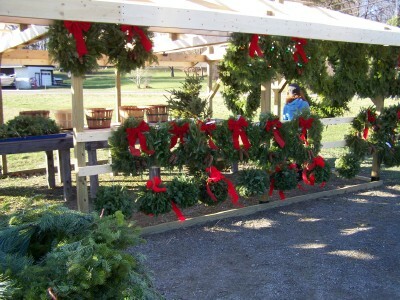 You must come early in the season to take these home! 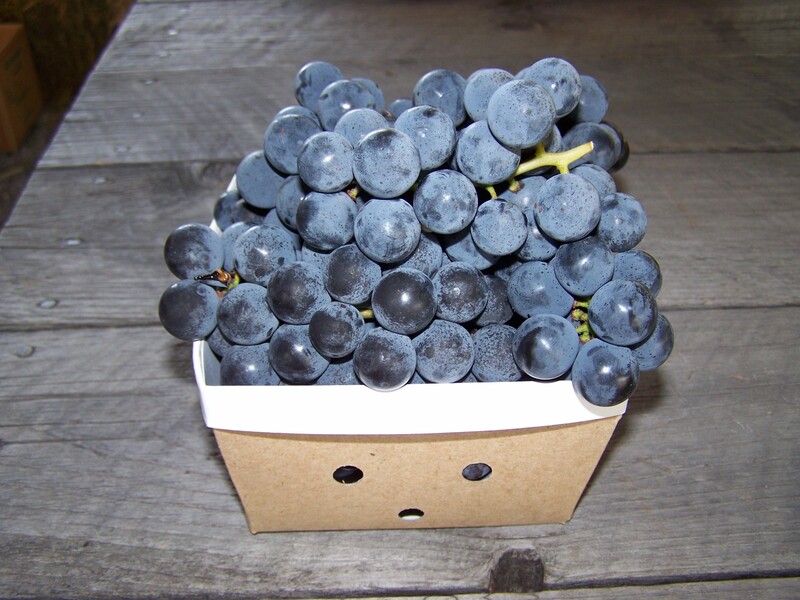 Our signature Concord Grapes - available for picking or already packed for about 5 weeks each fall. Fresh picked delicious produce including pears, apples, peaches and tomatoes. Many varieties available as the season progresses. Fresh picked vine ripened vegetables including cucumbers, corn, and many varieties of squash. Wagonloads of pumpkins in all shapes and sizes perfect for Halloween and Thanksgiving decorations. Our Christmas tree season begins the Friday after Thanksgiving. If you can find a more beautiful Douglas Fir, buy it! If you don't see what you are looking for, let us know. We will do our best to find it for you.